If you’re ready to have a good time, then Perkins Road wants you at the show! People dance and sing along with the great variety of music that Perkins Road performs. From raucous Classic Rock and Country classics to Current dance hits, the show is always filled with great songs that everyone knows and loves. The bands’ Southern hospitality draws the audience into the show and invites them all to have a great time together! Cam Pyle, from Baton Rouge, LA sings and plays several instruments, but mostly acoustic or electric guitar. Cam has performed with Soulhaven and the Delta Rockets as well as his constant side band, The Cam Pyle Band. Ty Taylor, from Moss Point, Mississippi is the lead guitar player, but he also sings a few songs and plays some pedal steel, mandolin, or banjo every now and then. You might remember Ty from the bands Isis and Hip Boot Joe. Ty is also an accomplished recording session artist and television commercial producer. You never know where his work is going to pop up! The backbone of the band is formed by the heavy footed Mike Tramonte of Baton Rouge on drums and Jordy Guidry from Lafayette, LA on Bass. Mike played with the Anteeks before helping to form the Perkins Road project, and Jordy has been all over the world with the Grammy winning Chubby Carrier Band. Before that, he played with the Andy Smith Band, who has been a staple of the Gulf Coast party scene for many years. Perkins Road currently plays from Myrtle Beach down to Key West and all the way back up the Gulf Coast in regular rotations. Wherever they go, good people and good times always follow. 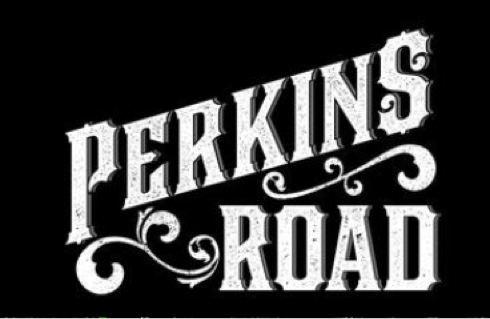 Perkins Road can also be reached on FaceBook as Perkins Road under artists and musicians. Hope to see ya soon!